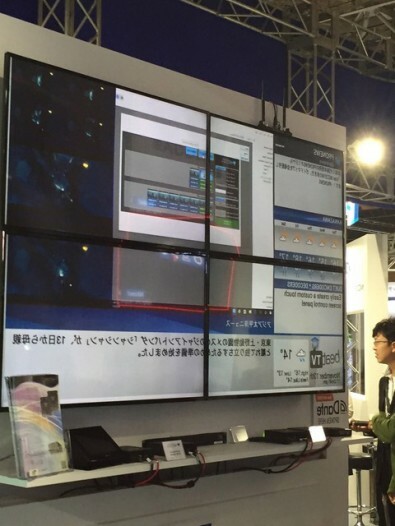 Chameleon delivers greater data to real time broadcasters at the low cost of IP. 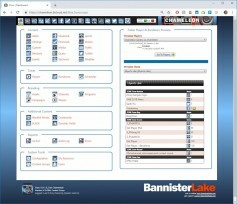 Bannister Lake has broken through previous barriers by pushing data for 4K UHD graphics over IP video networks from a single system with their latest incarnation of the Chameleon data aggregation and management product. Doug Strable, sales representative for Bannister Lake in Japan and Asia, demo’d this first time capability at InterBEE in Tokyo. That endpoint could be a graphics engine, an HTML5 renderer like the one onboard Chameleon, a streaming transmitter, or an AR/VR image generator. The system outputs to NewTek NDI’s (Network Device Interface) IP switches that can integrate into an existing broadcast infrastructure over one Gigabit Ethernet connections to multiple 4K video monitors. Bannister Lake has been involved since the mid-90’s in conventional broadcasting building lower third’s, news tickers and branding graphics. But the rising demand for 4K over the Internet has opened a whole new market for them over IP. You don’t even have to be an advanced graphics technician to run the system. Chameleon relies on a web-based interface that enables even non-tekkies who may not know a tweet from a twerk to update the graphical information on all platforms. At the NAB Show 2019, the company will be showcasing new election, sponsorship, and security functions with Chameleon V 10. By feeding data to web widgets and automatically sending out tweets based on Chameleon’s data algorithms, the system will be able to integrate social media inputs to create interactive election results. Chameleon V 10 will also be seen with an updated version of its NDI player, providing completely visualized live data streams that will let users integrate multiple feeds into graphic templates to provide their viewers with real time news, sports, financial and social media information. They will also have their Zeus media storage and playout system, designed for image- and clip-intensive production environments optimized for quick turnaround programming such as home shopping channels, sports productions and any programming where the unpredictability of source material requirements has to be dealt with under broadcast time pressures.